All 67 games in the NCAA men’s college basketball tournament will be available online. NEW YORK (AP) — March Madness begins Tuesday. And that may mean strategizing to sneak in some games when the boss isn’t looking. Fortunately for you — though not your boss — all 67 games in the NCAA men’s college basketball tournament will be available online. 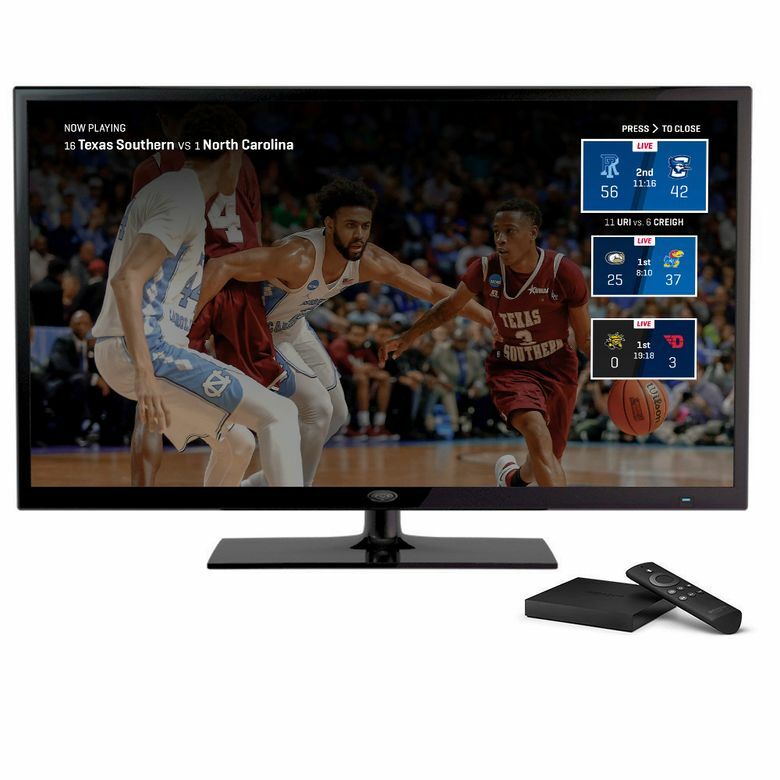 Many of the games, including the Final Four, will require a password through your cable or satellite TV subscription. Among the changes this year: a special stream to get the hot moments live when multiple games are played simultaneously during the first round. There are also new ways to subscribe to online TV packages, which stream many of the channels you’d get from a cable subscription. The best places to watch: http://www.ncaa.com/marchmadness or the NCAA March Madness Live app. All the games will be there, regardless of where they are televised. CBS is televising 21 games, including two of the quarterfinals. These games won’t require a cable or satellite password. To view on a streaming device such as Apple TV, Roku or Fire TV, you need a $6-a-month subscription to CBS All Access, or a subscription to one of those cable-like online packages. You’ll need a password for the remaining games, which are split among the Turner-owned cable channels — TBS, TNT and truTV. That includes the semifinals and championship game, known collectively as the Final Four. There’s a three-hour grace period on most devices. Games also will be available on individual apps for TBS, TNT and truTV — again with a password. 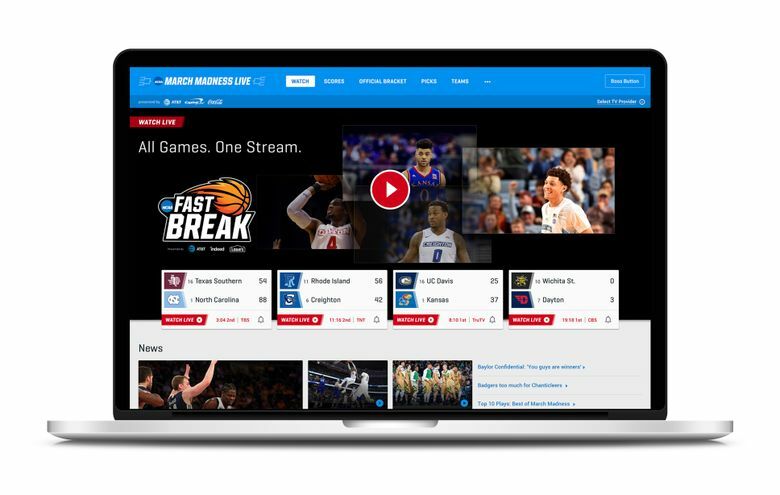 On desktops and laptops, the March Madness website will have a “boss button.” One click replaces the game with a fake screenshot of a search engine, spreadsheet or PowerPoint-like app — your choice, but set it up ahead of time. Consider subscribing to an online television package. 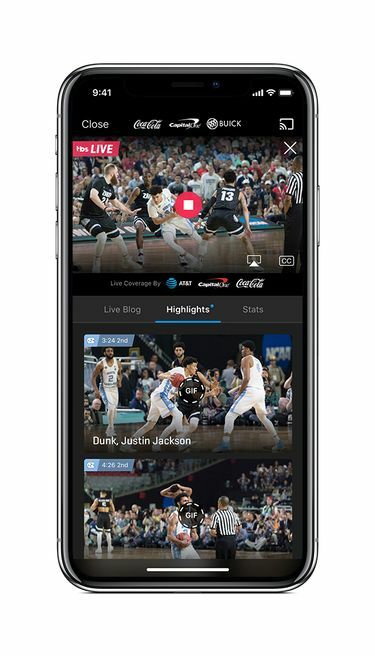 These packages will let you watch through the service directly or through the March Madness Live app and website. There are some new ones since last year’s tournament, including Google’s YouTube TV and Hulu with Live TV, joining AT&T’s DirecTV Now and Sony’s PlayStation Vue from before. The services cost $35 or $40 a month. Dish’s Sling TV costs $25, but doesn’t come with CBS. A sports-focused service, fuboTV, has CBS but not the Turner networks, so strike that. Thinking of cutting the cord? Here’s what you’ll need. Even services that include CBS might not offer the local CBS station where you live. Check before you subscribe by entering your ZIP code. To get CBS, you can also subscribe to All Access or use an antenna. With Vue on a PlayStation 4 device, you can watch three channels on the same screen at once. This means you can keep up with games being televised simultaneously on different channels, or have a talk show taking up one of the three streams. Vue offers just one game at a time on other devices. The March Madness app on Apple TV also offers three games simultaneously, up from two last year. Otherwise, you can have multiple browser tabs open or watch simultaneously on a phone and a personal computer. A new feature called Fast Break will switch from game to game automatically during the first round, depending on the action. It’s similar to the NFL RedZone or the Olympics’ Gold Zone. It’s available through the March Madness app on various devices and browsers. With Hulu, you can choose your favorite teams, and its live-TV service will send phone alerts and automatically record games involving those teams. Those with the basic Hulu service, without the live channels, will get condensed versions of games after they end. Westwood One’s radio coverage of all games will be available with no password needed. You can also get this on Amazon’s Echo devices by asking the Alexa digital assistant for the score. Intel will be producing some games in virtual reality. This time, it’ll work with Google Daydream headsets as well, not just Samsung’s Gear VR. Details on prices and the specific games haven’t been announced yet. Keep in mind that VR is no replacement for television; TV can get you much closer to the action with camera zooms than VR, which typically anchors you in a fixed location.